We want to do everything to make your sailing as comfortable as possible. 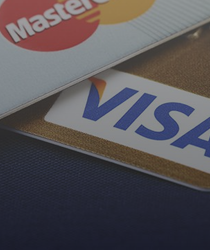 Get the payment card with the minimum amount of withdrawal limit of USD/EUR 30! Receive salary on it and the opportunity to pay with it all over the world. Moreover, you can keep all your account statements in one place thanks to "SMS Banking" and "Email-Banking". Fixing the withdrawal limit on the card for additional payment card holders. Minimum amount of the withdrawal limit - USD/EUR 50. Interest accrued on the account balance – 1%. Minimum interest on currency conversion – 1%. The document on assignment of the taxpayer identification number.